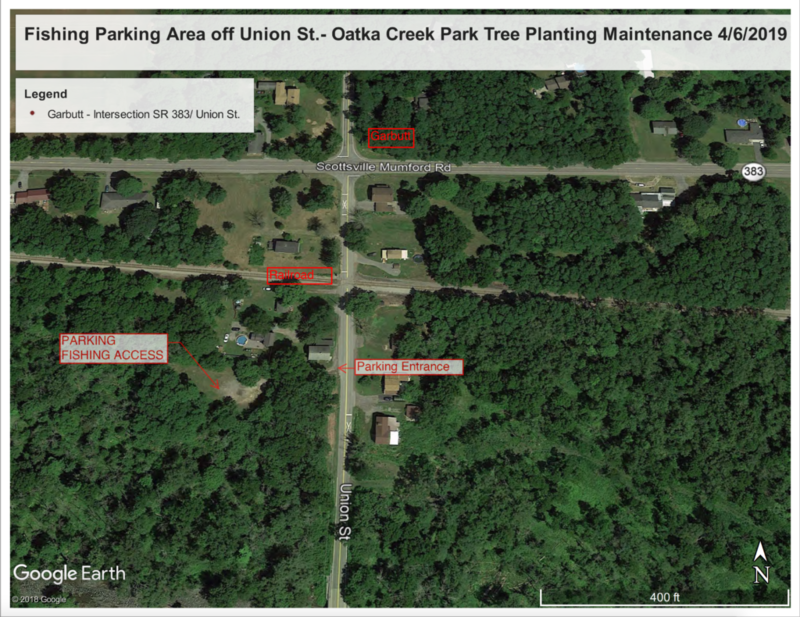 Come join us this coming Saturday morning at Oatka Creek Park in Wheatland for a tree check! We will be working from 8:30 AM until Noon looking at the plantings done over the past couple of years to see what’s still alive and thriving. Where plants have died, we will be removing the tubes, stakes and mats. 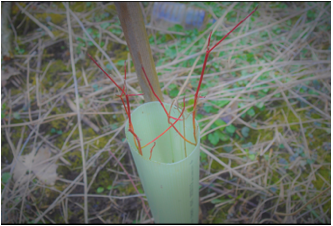 If the trees are alive, we will clean debris from around the them and replace the tree tube. We have quite a few to check so we would appreciate as much help as possible. If you will be new to this activity, we will pair you up with someone who is familiar with what we need to do, so you can learn the steps and what to look for. 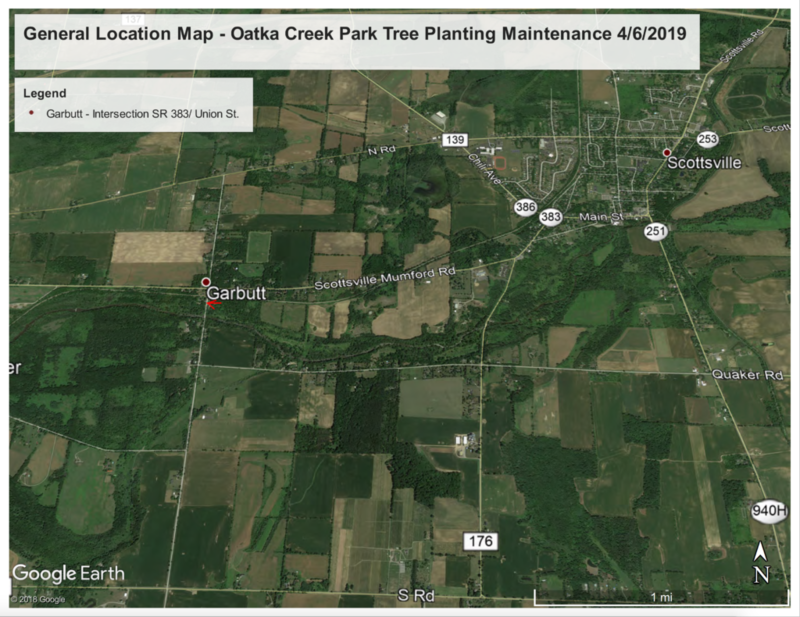 We will be meeting at 8:30 AM at the Park’s Fishing Access Parking area, off Union St. To get to there, take State Route 383 to Garbutt, just west of Scottsville, and turn south onto Union Street. 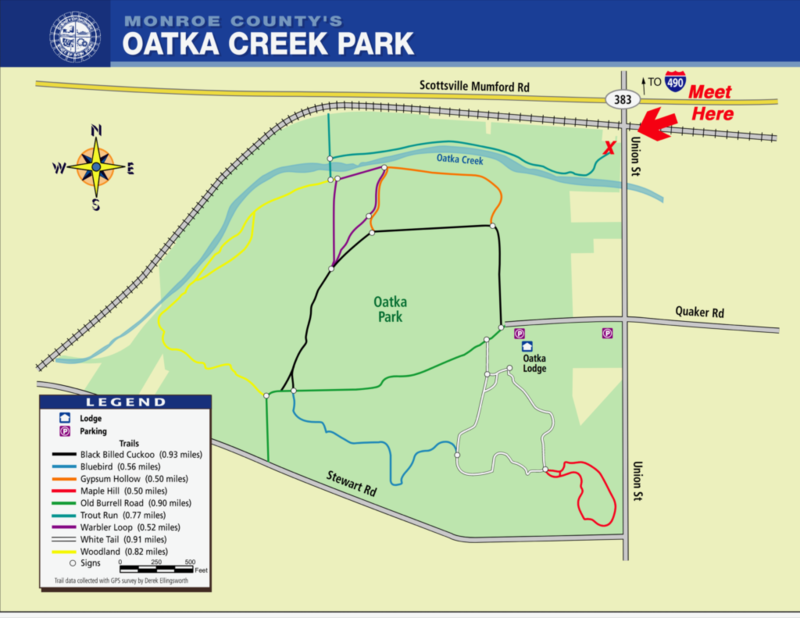 After crossing the railroad tracks, take a right/west (about 200 ft. after railroad tracks) on to a dirt drive, which is the entrance to a NYS DEC Parking Area for Fishing Access to Oatka Creek Park. Though weather predictions for Saturday indicate 55° and cloudy, we will be working if there is a light rain, or short showers. 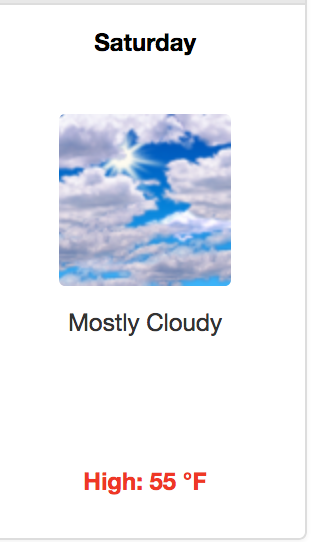 Rain is predicted for Friday, so it will be wet. Wear clothing appropriate for the weather – waterproof boots are a necessity! Work gloves too! A hammer or rubber mallet is also needed, as tubes are anchored with wooden or bamboo stakes and these will need to be straightened and pounded into ground. For more information, or to tell us you’re planning on helping, please contact Pete!